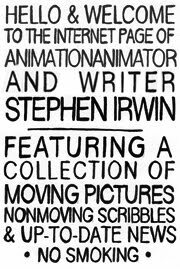 My new film 'Moxie' will premiere at the Ottawa International Animation Festival, 21 - 25 September 2011.
it'll also be on at Animest Int'l Animation Festival, Bucharest, 7 - 16 October 2011. Congrats on your entry MOXIE doing so well at the Ottawa festival! That's exciting. I saw the trailer (sadly couldn't get to the show itself) and it was... very interesting. I imagine you need to see the whole thing, because the trailer didn't make much sense and was pretty odd. I was just wondering when it will be released online so folks can check out more than just a few seconds of clips? It seems to me that if you enter a festival, you can't release it to the public? Is that correct? It doesn't make a lot of sense to me, but perhaps those are the rules or something. Anyway, have a good one, and good luck with your future animations.